You’ve worked hard to build your retirement nest egg. As you approach retirement, you’ll face important decisions about how to structure your finances to last for the rest of your life. 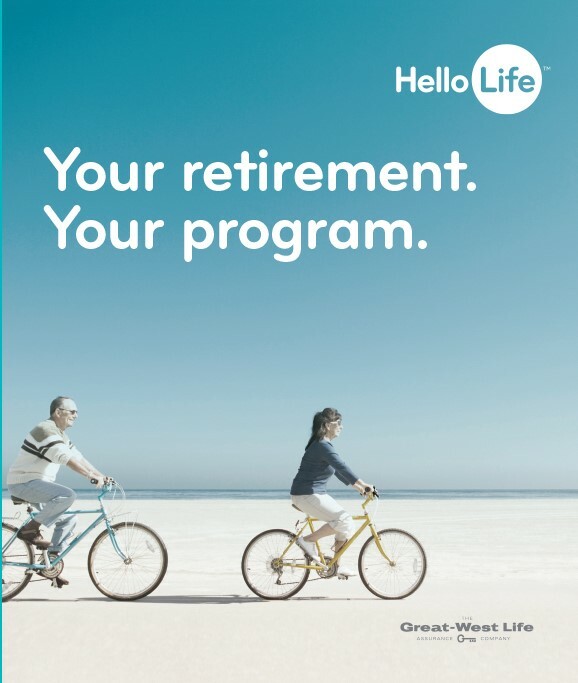 The HelloLife retirement income program can help ensure your money lasts, while giving you the flexibility to help maintain your lifestyle in retirement. HelloLife isn’t just a financial product. Or a way to save for the future. It’s an all-encompassing program that sets you up with a spending plan that lasts all through your retirement years. It even allows for growth while giving you a predictable income. 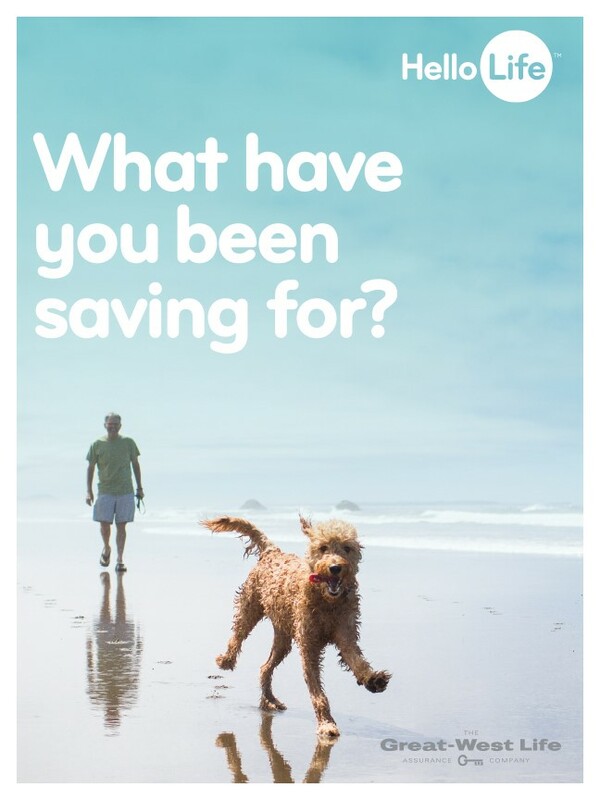 What have you been saving for? An introduction to the HelloLife program. Find out how your advisor can help you create a retirement income program to last the rest of your life. If you’re ready to retire, this piece can help you start to get a more accurate picture of what you want your retirement to look like. If you’re three to five years away from retirement this checklist and timeline can help you start to think about your retirement needs. If you’re approaching retirement, these ten thought-provoking questions will help you to prepare. 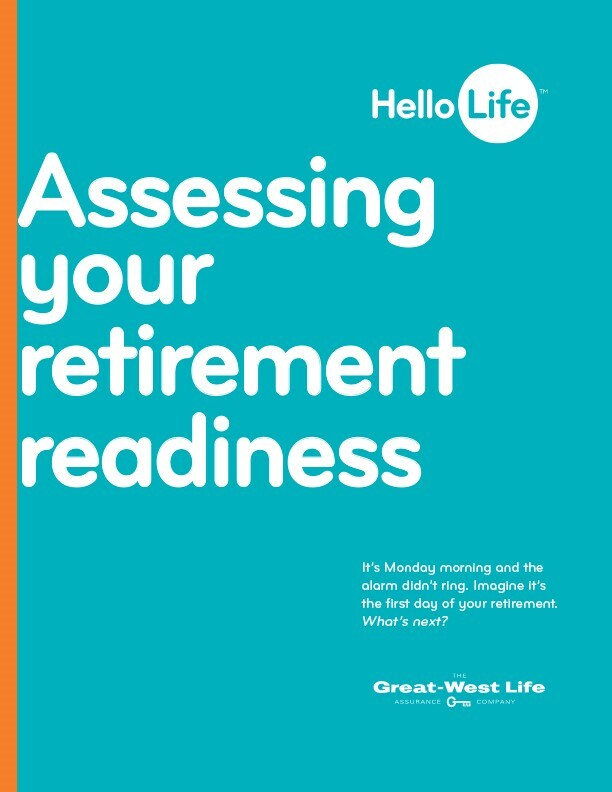 A more detailed look at the HelloLife program, which includes an explanation of how income annuities and segregated funds can work together as part of your customized retirement income plan. An introduction to the HelloLife program. 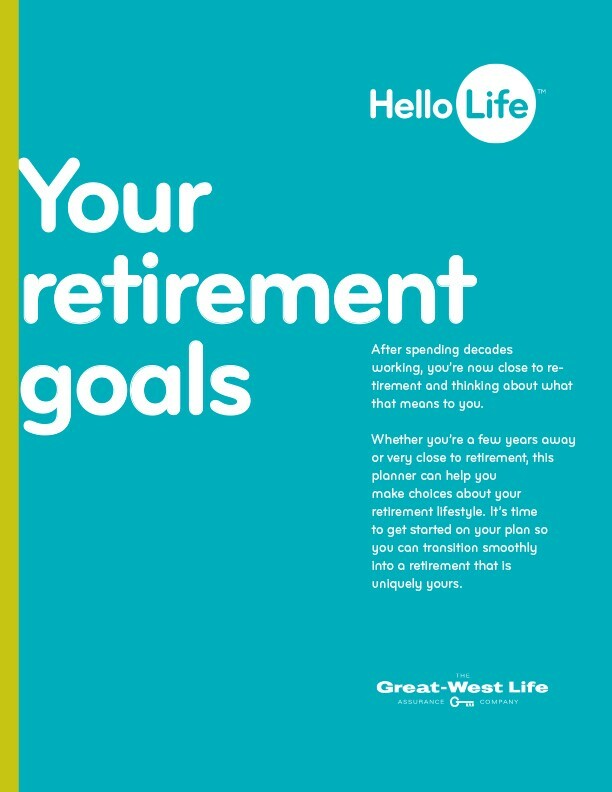 Find out how HelloLife can help you bring your retirement vision to life. Deborah is 55. She’s a real estate agent. Robert is 63 and is an IT consultant. They want to sell their house and move to the cottage after they retire. Mary is 60. She’s a paralegal and doesn’t like taking risks. Mary wants to retire in five years ,she’s entering retirement on her own, and she has some questions. Roger is 55 and an operations manager. Jessie is 50 and a VP of sales in the food industry. They have a son still in university who still needs financial help. They have a great lifestyle and want to maintain it into retirement. 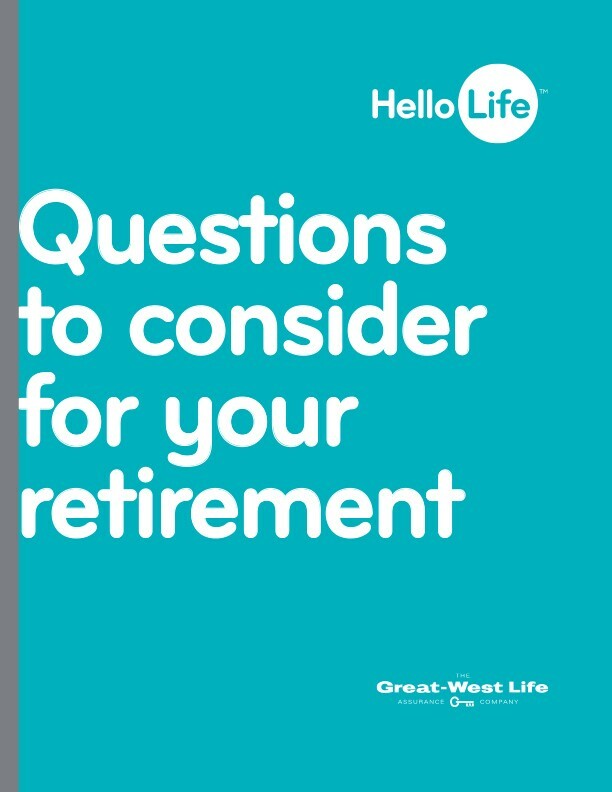 HelloLife and design are trademarks of The Great-West Life Assurance Company and are used with permission by London Life Insurance Company. and Tim Reynolds, Bob Vrooman, Dianne Dowing and Tasha Howe offer mutual funds through Quadrus Investment Services Ltd.
Legal, Copyright and Trademark information.